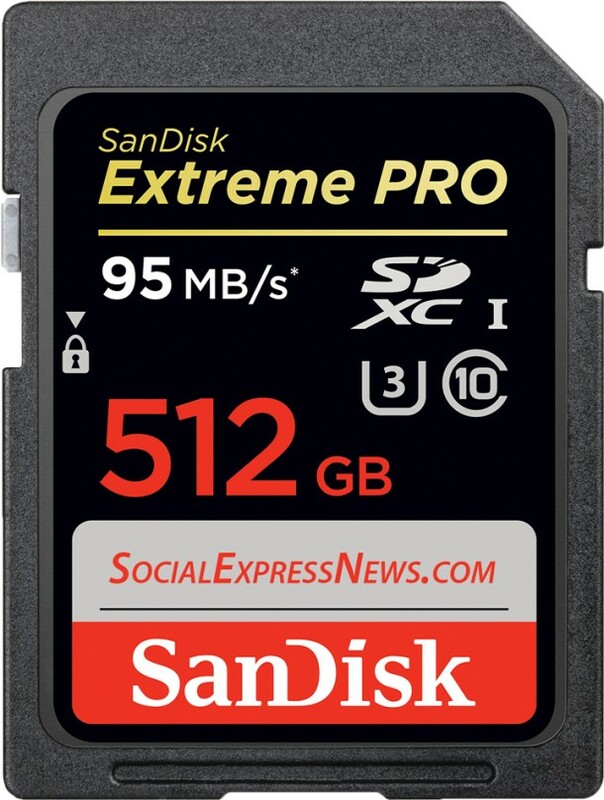 SanDisk has invented 512GB SanDisk Extreme PRO. It is the SD card with largest capacity in the world. The only obstruction is its cost $799.99 as you can buy a reasonably nice camera for the same price. This is a professional-level accessory, acknowledges SanDisk. There won’t be any need for new SanDisk Extreme PRO for the next family vacation lest you intend to film the whole thing in 4K which is one of the use cases mentioned by SanDisk i.e recording HD and Ultra HD video. Space of few hundred megabytes is consumed by a short 4K clip. So, you enter the gigabyte range once you consider storing a practical bit of film. The amount of storage on SD card has increased by 1,000 times in only a decade. The 512GB card has write speed of 90 MB/s in spite of such a heavy memory density. By means of right post-production set-up, transfer speeds equal to 95 MB/s are also achievable. This card has the capacity to store approximately 4 hours of 4K video or a full 24 hours of 1080p video depending upon the settings. This SD card may appear at retailers at somewhat less price as the $800 price point is merely the MSRP. The preorder price of this card is chiefly in the mid-700s. SanDisk has also announced small variations in the same product line with the 256GB version for $360 and the 128GB card for $190. The cards will ship later this month.